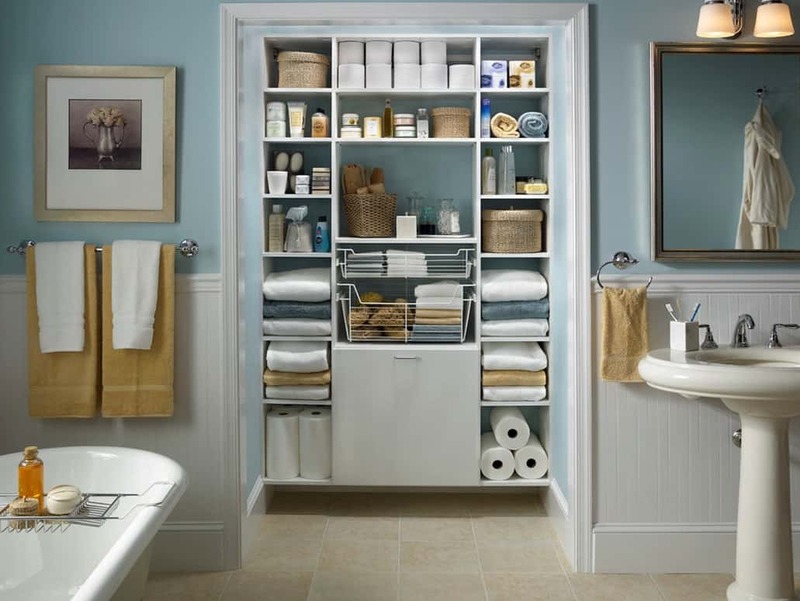 With so many different items needing to go in the bathroom space, it makes sense for you to have an abundance of shelves in the room. Even though many of us would prefer to have a large display of shelves the fact is, not many bathrooms come with them already installed. 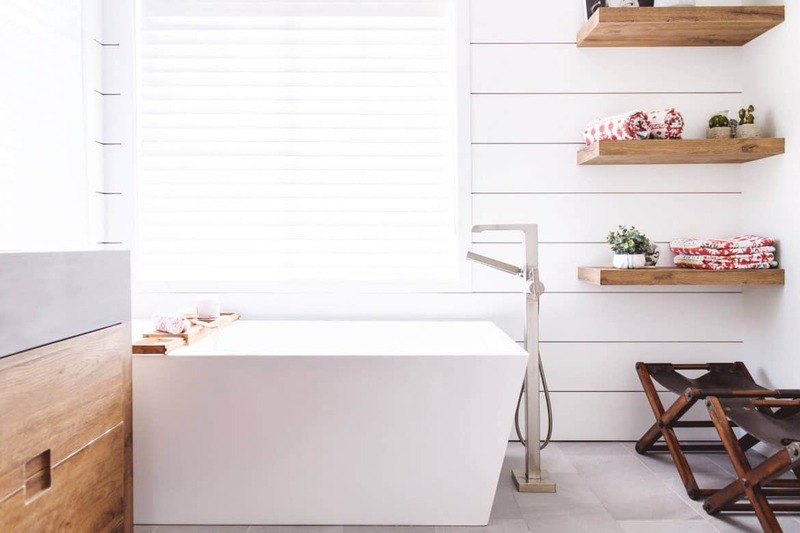 Here is a guide to help you with bathroom shelving ideas that are charming yet modern. 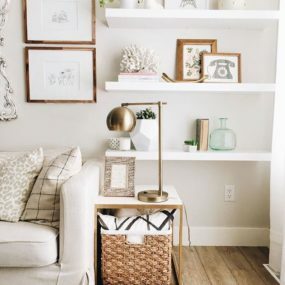 If you do not want to add multiple wood shelves, consider having 2-3 for that bold element that is unique yet feels traditional to the room. For a farmhouse approach, unfinished wood is the way to go. 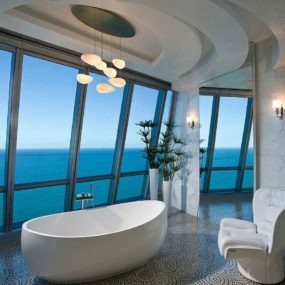 It makes the room feel charming yet tranquil while having that touch of uniqueness. Consider having individual wood blocks for a fun touch right where you need it. Furthermore, have the wood flow with your decorating style. The more glass shelves the more expandable the room will feel. There is something new and fresh about it. 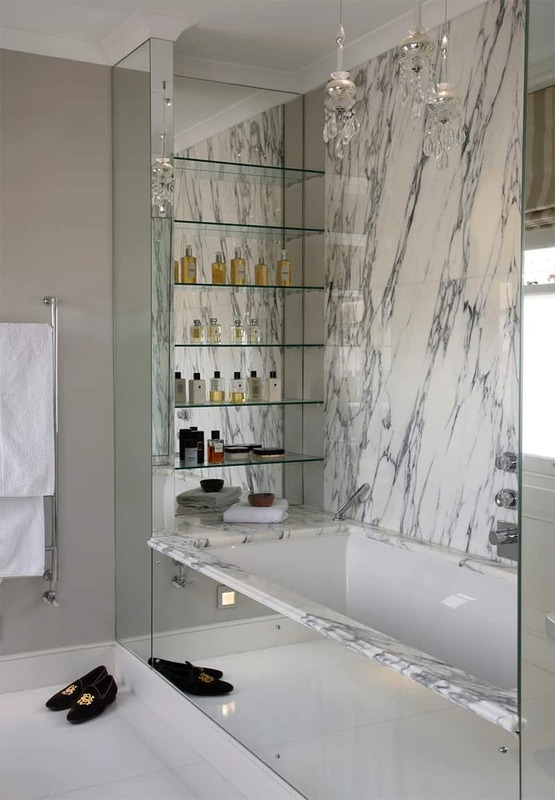 We have all seen shelving in one way or anything, but we have not seen glass shelving as the main element of the bathroom. Pair it with a colorful wall or marble to make a statement that feels uninterrupted yet works harmoniously well together in the room. When in doubt consider shelving under the sink, for that chic simplicity that makes sense to your decorating style. Every so often, a room simply needs a little hint of charm with a twist, that is where wide set shelves will come in hand. This is particularly true if your bathroom has an awkward corner. Add a few baskets on the bottom to create a sleek hands-free approach. Open shelves work due to how well they expand the room, particularly when the bathroom is a bit on the smaller side. 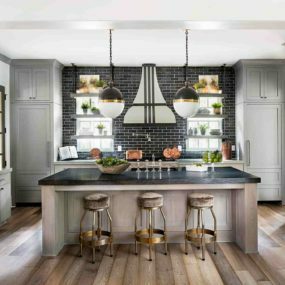 One of the best to take advantage of large counter space is by having open-shelving. Open-shelving is great when you want a practical shelving system that still offers you enough space to place what you need on a regular basis. 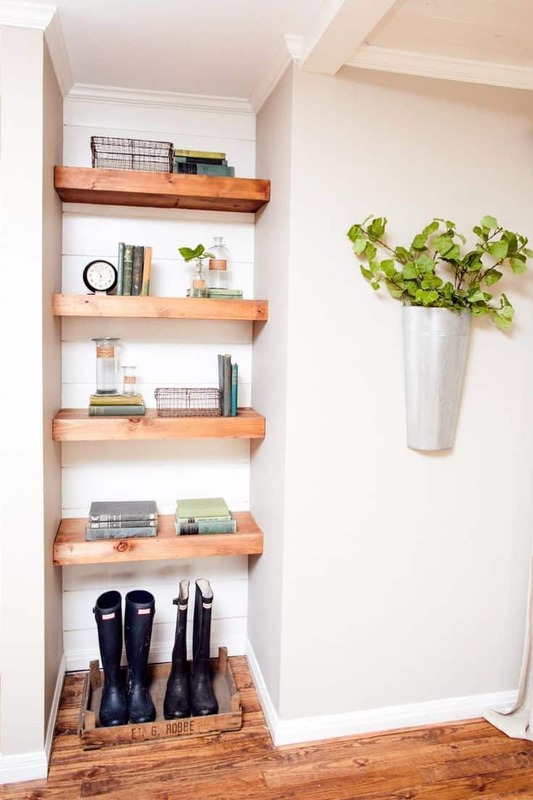 Pair your shelves with a wooden plank for a farmhouse twist that screams asymmetrical and modern simultaneously. For a modern change consider a geometric, asymmetrical visual. Insert three or more shelves in different sizes with enough space for your daily items to be placed comfortably. The shelves should scream asymmetrical and modern while still blending into the room seamlessly. Adding baskets to your open shelves is one of the best ways of making a grand gesture by blending two decorating styles together for a well-done approach. 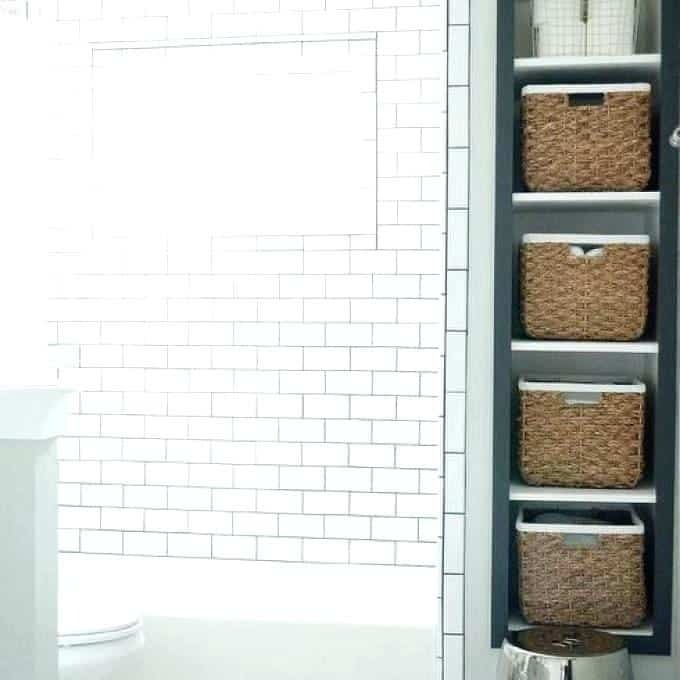 Take recessed shelving to the next level by having a display of baskets in them. Besides having a recessed touch to your shelves, the baskets will bring it all together seamlessly. Add colorful baskets to brighten the room with bold shades or identical wicker baskets for something more modest and balanced. 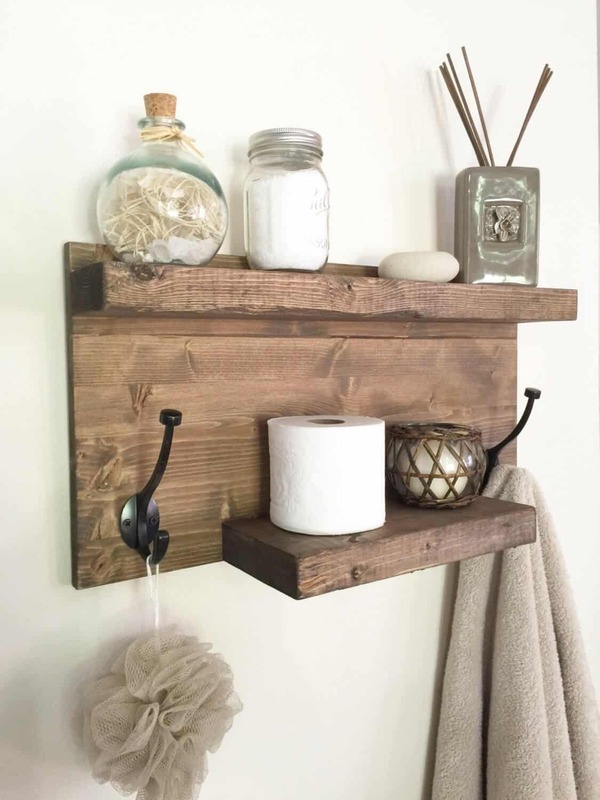 Add a farmhouse twist by having wood as part of your industrial shelving display. 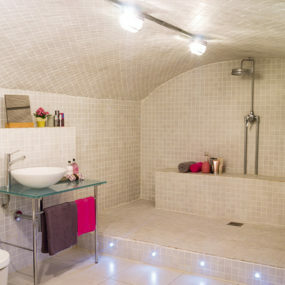 Occasionally, all a bathroom needs is a small shelving compartment to add an interesting visual to the room. That is where an industrial twist will come into play. Keep your shelves with a metallic twist for that classic industrial feel that makes the room come back to life. Having a buffet shelving not only saves you the hassle of having to find what you need in different areas of the home, but it allows you to get creative with your decor. If you have a lot to put away, you might want to consider a buffet style of shelving. 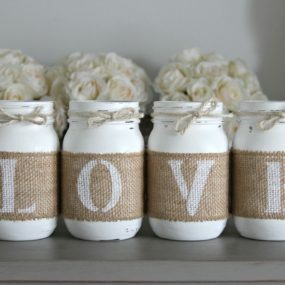 This particular style is always a good idea when you want to display towels, glass containers or intricate beauty products. 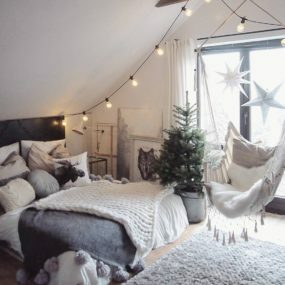 Additionally, it works when you want that unique feel that is still traditional and feels welcoming to the room. Keep your tile shelves as simple as possible by adding towels and/or greenery for hints of color and simplicity. 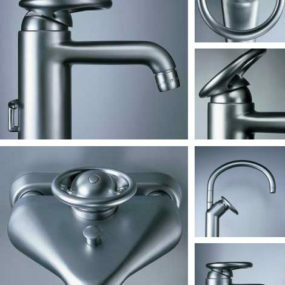 Want to create a seamless approach to your bathroom? 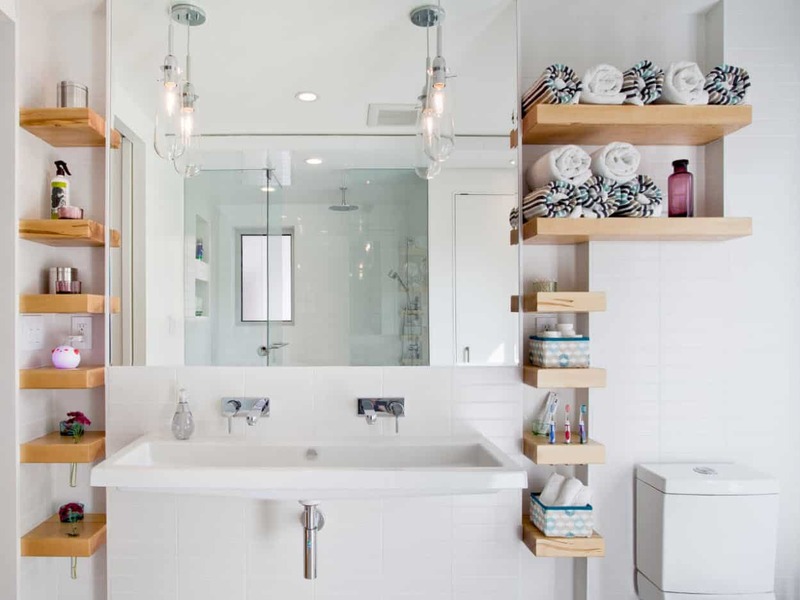 Displaying tile shelves is one of the best ways to make the room feel cohesive. 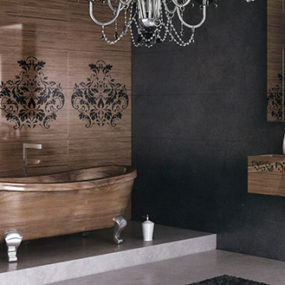 Use the same tiles throughout your tub and your shelves for that seamless touch that makes sense in the room. 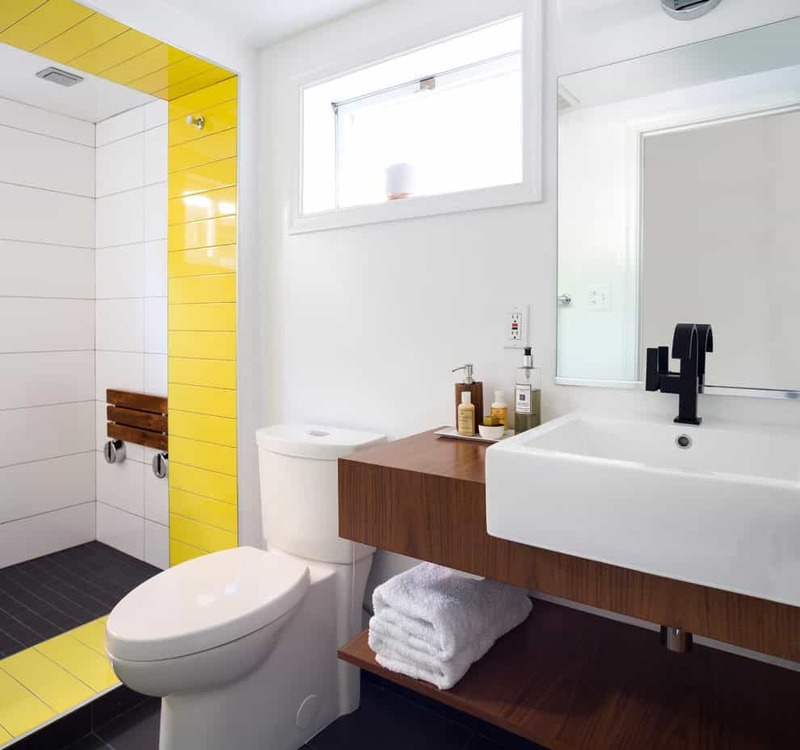 This idea works well when you already have an open- floor plan as the tiles will work well effortlessly. When selecting your wood you want to keep in mind the hue you are using. The lighter the hue the better for smaller rooms, whereas the darker the hue the more elegant it will appear. When in doubt consider thick wood. Thicker wood works well because it allows you to have exactly what you need with a traditional touch. 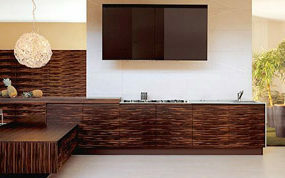 The idea is for the wood to make a huge statement on its very own without the need of additional décor. 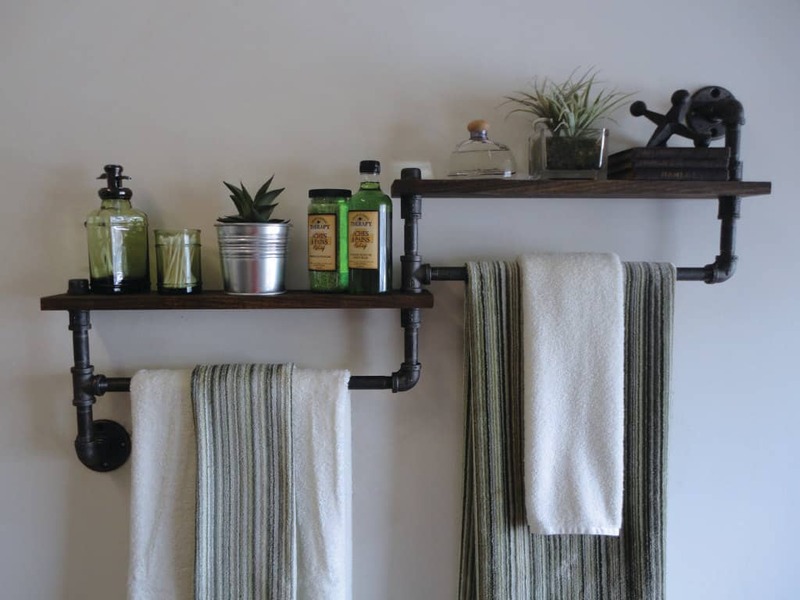 When it comes to bathroom shelving these ideas are top-notch. Let us know which of these you are most intrigued by in the comments below.